We would like to take a moment to introduce you to Stepping Stones Day Program. We are an approved service agency for DDRC. We currently provide day program transitional services and supportive living services for dually diagnosed adults with special needs. We would like to take this opportunity to tell you a bit about our program. Our day program provides a variety of community and base site activities that encourage positive interactions and growth. 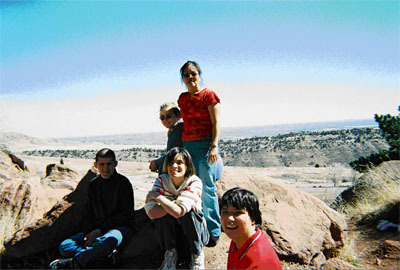 We also combine consumers with groups of their peers that are at a similar level in their abilities and interests. This creates peer groups that are comfortable with each other and who can provide support. Our peer groups also are given activities that are appropriate for them in order to provide the best learning environment. We maintain a low staff to client ratio, due to the high need of many of our consumers. 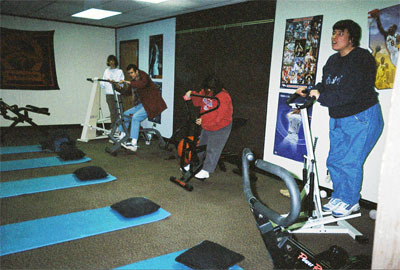 At the base site, clients participate in exercising activities, art and crafts, games, living skills programs, daily groups, and socialization activities. In the community, clients go bowling, to museums and other local attractions, to restaurants and malls. 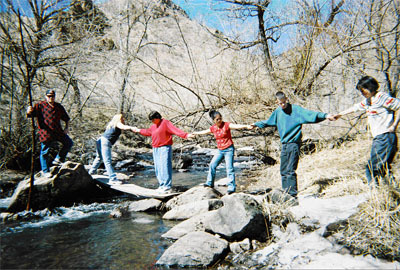 Outdoor activities include walks in local parks and short hikes in the mountains. 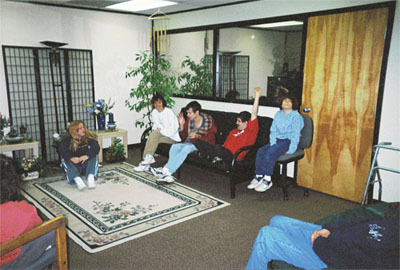 Stepping Stones is focused on creating a program for clients that are in transition from school into adulthood. We hold groups that address independent living skills, such as cooking and nutrition, as well as social skills. Some consumers are working on learning household management skills as well. The consumers go into the community to learn to utilize resources, as well as for leisure activities. The program is designed to provide a large variety of opportunities for learning and growth. Stepping Stones has a very individualized day program where we strive to meet the clients’ needs in their everyday activities. It is important to create an environment where each individual feels safe and secure, as well as enjoying himself or herself. We welcome you to stop by our base site at Margaret Walters Center. Please feel free to contact us with any questions. Call us at 303-940-3700 or e-mail us. We look forward to meeting with you and discussing the possibilities our program offers. Copyright © 2006 Community Partnerships & Associates. All Rights Reserved.